Mr. and Thomas Stieglitz, newlyweds, will make their home in Indianapolis, Ind., after Sept. 1. The bride is the former Jean Avis Scheuring, daughter of Mr. and Mrs. John Scheuring of Greenwood (Clark Co., Wis.). The wedding ceremony was performed Aug. 9 1947 at a candlelight service at the First Methodist Church in Marshfield. The Rev. Lee Holmes officiated at the double ring ceremony. 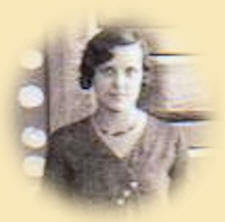 Miss Margaret White of Milwaukee was maid of honor. Best man was Robert Stieglitz of Indianapolis. Willard and Robert Scheuring, brother of the bride, were ushers. The bride is a graduate of the University of Wisconsin and for the past year was an instructor in a school in Marinette. The groom is attending Purdue University at Indianapolis.